There are some dates that stick out in our minds more than others. Like October 3rd, for example, when Aaron Samuels asked Cady Heron what day it was. Or October 21st, when Marty McFly arrived in the future. There’s also February 2nd, when Phil Connors woke up and realized it was Groundhog Day, again. And of course, there’s January 8th, the day Tom Hansen met Summer Finn in (500) Days of Summer. (500) Days of Summer is one of our favorite movies. It’s what we watch when we can’t sleep, when we’re stuck at home sick in bed, or when we just feel like canceling our plans and declaring Saturday night a movie night. And every January 8th. Somehow, (500) Days of Summer manages to serve our every emotion. If we’re falling in love with someone new and getting butterflies, we relate. If we’re feeling stuck in a relationship rut, we relate. And if we’re sobbing our faces off into a gallon of Ben & Jerry’s after a breakup, yup — we relate. Though technically many days could be considered Tom and Summer Day (there are 500 of them, after all), every year, we honor the day that the two fictional characters met. Because even though they don’t get their perfect happy ending together, we still love the highs and lows of their relationship. 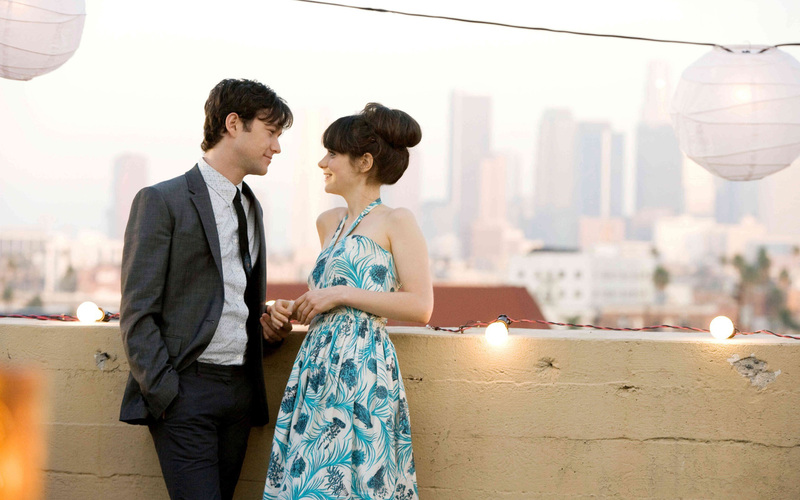 From the start, (500) Days of Summer warns us that there won’t be a happy ending. Cue us cry-singing Regina Spektor and The Smiths. But we disagree. We think that (500) Days of Summer IS a love story. It’s a beautiful, messy, complicated love story between two people who, in the end, aren’t exactly right for each other. So perhaps we hold this movie in such high regard because it feels so real. That, plus the perfect casting of Zooey Deschanel and Joseph Gordon-Levitt, and the soundtrack that makes us feel all the feels. Not all love stories have happy endings, and we’re OK with that. Happy Tom and Summer Day. If you need us, we’ll be in front of the TV falling in love with JGL all over again.